Considering the growing popularity of cannabidiol (CBD), it’s important to understand the advantages and disadvantages of CBD products to figure out what’s best for you. Terpenes are one of the most frequently discussed constituents of CBD and cannabis. The following guide will cover the most common questions about CBD and terpenes, including what they are, what kinds of CBD products on the market contain them, and how they influence the user’s experience and health. First off, let’s provide a bit of background about what terpenes actually are. A terpene is defined as any molecule that contains at least one isoprene (a molecule of the form C5H10) within it, which means there are a huge variety of different molecules that can all be considered “terpenes”. Even though it’s a very broad category, the terpenes commonly referred to in discussing CBD are found in a variety of different plants and animals, and they are “by far the most dominant [component] of essential oils” according to the Encyclopedia Britannica. Though essential oils contain a variety of other chemicals as well, for our purposes, we can say terpenes are the building blocks to many important properties of essential oils. As one might guess, the terpenes in cannabis are also responsible for many important properties. In fact, it’s these terpenes that are responsible for the unique and complex aroma of cannabis. Different terpenes have different health benefits. For example, the terpene limonene has been shown to have anti-anxiety properties. Additionally, myrcene, the most abundant terpene in cannabis, has been suggested by research to act as a pain-reliever, adding on to the proposed pain-relieving properties of CBD. Despite these hope-inducing claims, it is important to always remain skeptical and to do your own research. Cannabis research in general is still young, and it is difficult to make definite claims. What is the “entourage effect”, and how does it affect CBD? The entourage effect, a term coined by S. Ben-Shabat and Raphael Mechoulam in 1998, describes the idea that various chemicals present in cannabis work together with THC to create a stronger psychoactive property in marijuana compared to the consumption of THC alone. According to Ben-Shabat and Mechoulam, the entourage effect may explain “the widely held (but not experimentally based) view that “[whole] plants are ‘better’ drugs than the natural products isolated from them”. For context, Raphael Mechoulam was the first person to isolate and synthesize THC in 1964 and has been doing cannabis research for decades. Recently, in 2011, Dr. Ethan Russo published a report further investigating the relationship between THC and other chemicals in cannabis, including terpenes. In his research, he suggested that terpenes in particular “may contribute meaningfully to the entourage effects on cannabis-based medicinal extracts” and, perhaps more profoundly, may contribute to the therapeutic properties of cannabis overall. He further claims that different combinations of cannabinoids and terpenes that vary between different strains of marijuana may be responsible for their distinct properties. In particular, the terpene myrcene has been suggested to be especially responsible for these differences, including the differing “highs” one feels after using sativa and indica strains of cannabis. With regards to CBD, it is not definitely known if the entourage effect works in the same way it does with THC. However, considering the potential benefits of terpenes for pain and anxiety relief, products that combine CBD with infusions of terpenes may provide stronger effects than regular CBD products. 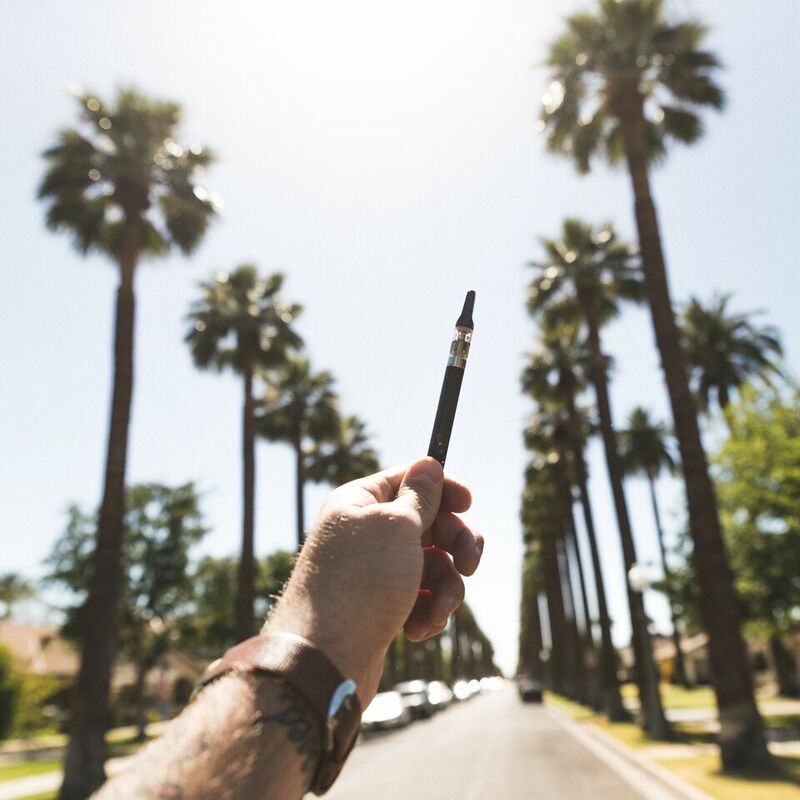 Subjectively, users agree almost unanimously that full-spectrum (meaning products with CBD, terpenes, and other cannabinoids) is certainly more beneficial than isolate products. As previously mentioned, there is some evidence to suggest that myrcene and limonene have significant medicinal value related to relieving anxiety and pain. Limonene in particular has also been suggested to act as a reliever of heartburn and acid reflux. Below are some other commonly-mentioned terpenes found in cannabis and their suggested health benefits. Found in pines and conifers, hence the name, pinene is claimed to have anti-inflammatory properties and can provide a feeling of increased energy. It is said that linalool, found naturally in various flowers and spices, can promote relaxation, reduce anxiety, and reduce inflammation. Found naturally in the eucalyptus plant, eucalyptol is said to promote blood circulation, reduce inflammation, and provide pain relief. Known for its earthly aroma, myrcene is one of the most abundant terpenes in cannabis, and is known for its sedating properties and the ability to induce relaxation. Limonene is not known only for its citrusy scent. It is also considered a potent anxiolytic and stress reliever. Caryophyllene is noted for its distinctive, smoky or outdoorsy type scent. It is well known to the famous cannabis strain OG Kush. As you might have noticed, many of these terpenes provide anti-inflammatory and relaxing effects, which may be of some interest to those who want to use terpene-infused CBD oils for reducing inflammation from arthritis or for reducing anxiety and stress. Furthermore, this could be evidence that terpenes and CBD products would lead to an entourage effect. In recent years, some sellers of marijuana and CBD products have started making unsubstantiated, exaggerated claims about the medicinal properties of terpenes in cannabis. This is partly due to the increased hype about terpenes caused by the research of Dr. Russo and others. For instance, the claim that myrcene or any other terpene can increase the delivery of THC to the brain is completely unproven. The research currently available regarding terpenes is, by and large, incomplete, so it isn’t entirely known how the medicinal properties of terpenes influence the health benefits of cannabis. As always, remember to be wary of any claims about cannabis terpenes that sound too good to be true, and be sure to conduct your own research!